Now I know why people who are easily frightened are called CHICKENS. 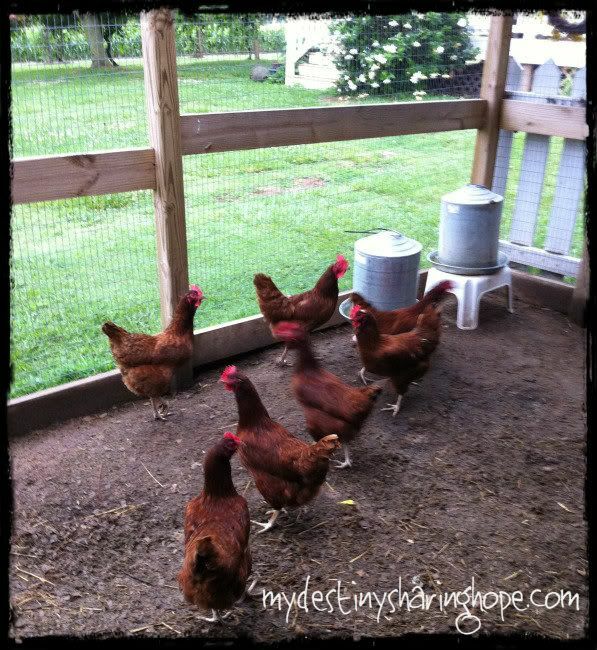 Yesterday morning I was on our back deck reading the Bible and waiting for the sun to break through the clouds when I heard a lot of commotion coming from our chicken coop. I watched as half of the flock huddle up in a corner next to the fence. I wondered what in the world was going on. 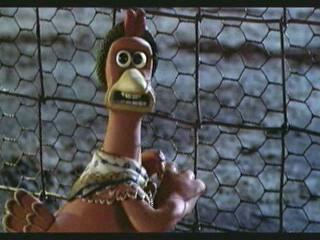 If you have ever been around a chicken when it panics you understand the hysteria that took place. There was a LOT of cackling and flapping of wings. I came through the house to grab some shoes and headed to the coop. First I peeked into all of the nests to make sure I didn’t see a snake. I looked up in the top of the coop too and didn’t notice anything wrong. I tried to move those frightened birds out of their corner of the fence, but it wasn’t happening. These are the SAME birds that stay under my feet anytime I go out there because they know I feed and care for them. I normally have to push them back so I can take a step! How often does our heavenly Father try to comfort us when our eyes are on the object of our fear and we miss Him? Finally, I looked around and saw the culprit! 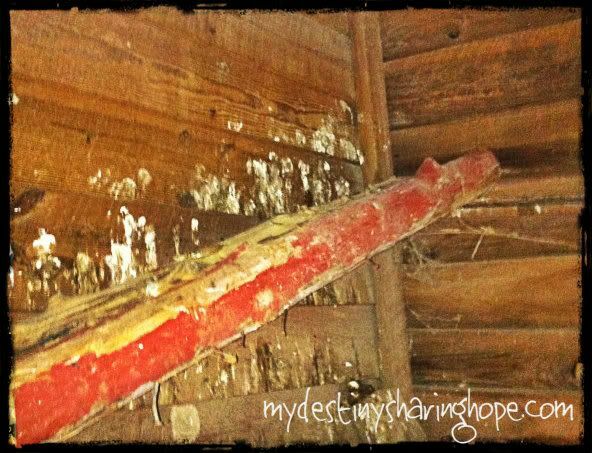 On one side of our coop we have two long posts resting on the end of the nesting boxes and then on a high ledge. It is the highest spot to roost and I guess the leader hens have that spot. Well, somehow those crazy chickens knocked one of the poles onto the ground — which in turn knocked over a wooden covering that closes their “exit” from the coop into the runner. Here is a picture of the evil scary pole placed back where it belongs. 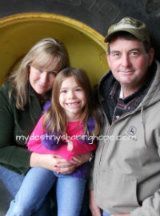 I was trying to help them, but they were so spooked that even their caregiver freaked them out. Again, it makes me wonder if we are that way with God. Do we scream and run around when He is trying to repair what is broken? Are we so full of fear that we won’t trust Him? God has given us His Spirit. With Him we should walk in power, love, and soundness of mind. Yes, sit back and sip some nice cool water. I tell you, my friends, do not be afraid of those who kill the body and after that can do no more. But I will show you whom you should fear: Fear Him who, after the killing of the body, has power to throw you into hell. Yes, I tell you, fear Him. Are not five sparrows sold for two pennies? Yet not one of them is forgotten by God. There is a healthy fear of God and He alone should be feared in that way. The other fear isn’t from Him. 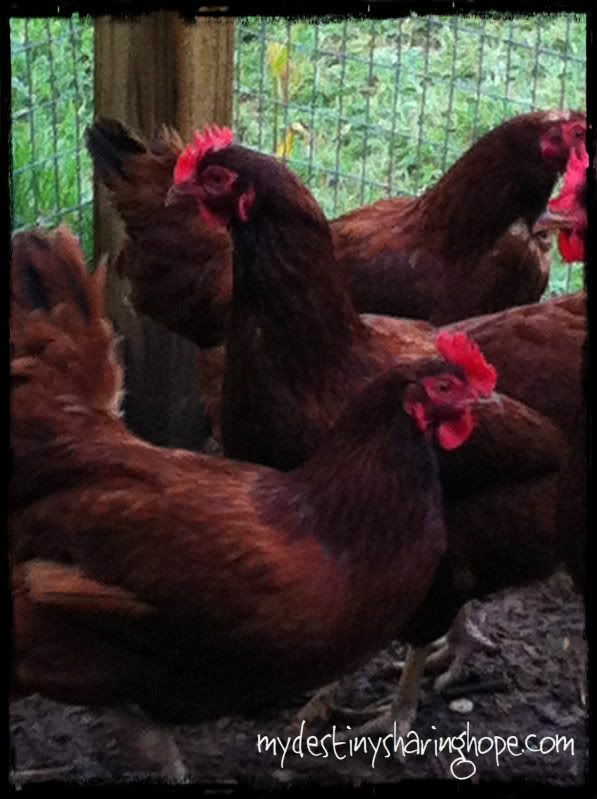 Watching these silly chickens and their reactions has brought contemplation and conviction in my own life. ROFL what an excellent post. I love that Luke verse! 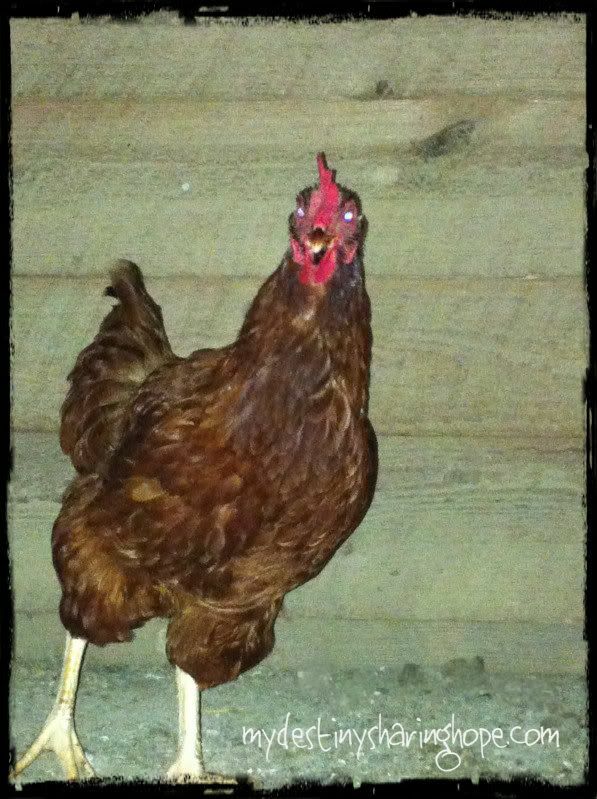 I know exactly what you mean about the chicken frantic LOL. Have you seen them play chicken football? It is way too funny, just give them some red grapes and sit back to watch.